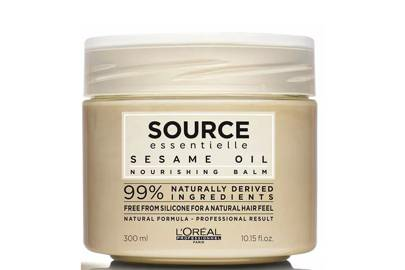 With a shampoo at 80% natural origin ingredients and the nourishing sesame oil balm 99% natural, these new sulphate-free professional haircare products from L'Oréal are the latest natural products for earth-loving beauty lovers to get their hands on. Don't be put off by the 80% natural status of that shampoo - these are carefully selected preservation ingredients to prevent those all-natural ingredients from going off while they sit on your shower shelf. With jellifying gum and hydrating ingredients sourced from aloe vera, it's an oil-busting treat of a formula intended to boost vitality. And that balm? 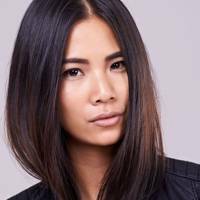 Sesame oil and coconut oil might be tasty kitchen additions, but they also have split end-smoothing properties, and provide the nutrition your hair needs. Thick virgin (un-dyed) blonde hair, natural curls and waves currently quashed with a to-die-for keratin treatment that helps me handle the humidity hair with ease. 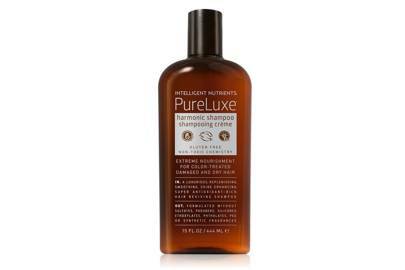 I must admit, I'm not too precious about the shampoo that I use, as long as it doesn't contain sulphates that strip out my keratin and doesn't ruin the colour of my natural blonde. 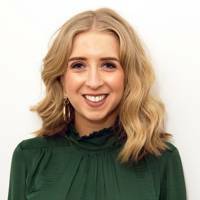 With a stupidly high amount of hair follicles on my head, I look for a product that can banish grease and thoroughly cleanse my scalp of dry shampoo (guilty) without damaging my hair. 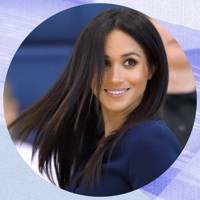 BUT, because I style my hair so regularly and want to keep it in slick condition, I opt for thick and rejuvenating conditioners and masks to lock in that moisture. For a nature enthusiast like myself, there is something peculiarly satisfying about being able to see literal pieces of tree shrub floating in your shampoo. The sweet aromas of acacia and aloe vera are refreshing, and yet not as overwhelming as products packed full of chemicals and scent. You know it’s all natural when it’s just understated goodness all the way. I applied evenly and was pleased that the lather was thorough for a natural shampoo, and left me feeling squeaky clean despite the lack of sulphates. 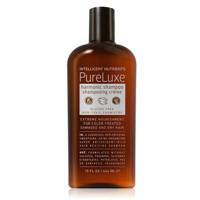 This product is mainly designed for normal to fine hair, so I added an extra rinse-repeat for good luck. 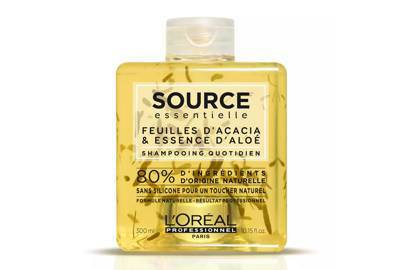 The added gimmick is that occasionally there are actual leaves of acacia being rubbed against your scalp (sounds odd, reality is that you barely feel it and it probably adds a really lovely natural exfoliant). 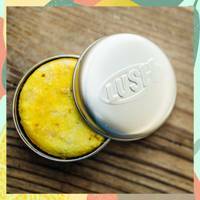 The second step is the conditioning balm. 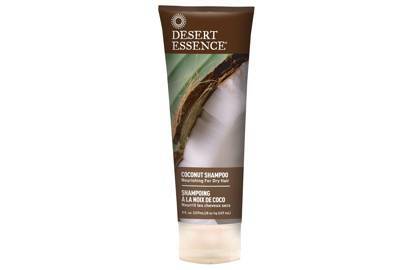 Packed full of sesame oil, with a consistency like body butter and a divine smell (it honestly looks good enough to eat, beware), everything about this product says luxurious haircare - but at only £22.99 it’s a bargain compared to other options in the market. 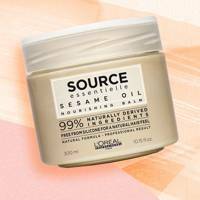 With 99% natural ingredients, this feels like someone has saved you the trouble of mixing up a hair mask in your kitchen, bottling up luxe goodness and serving it to you raw. 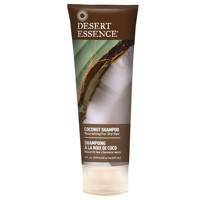 You apply to towel-dried shampooed hair and then wash out after five mins. 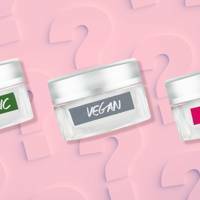 Wait for five minutes - shave your legs, clean a makeup brush, browse a dating app - and then rinse the balm off, leaving your hair cuticles closed, gloriously conditioned with moisture locked in. The worst criticisms I can come up with? (I'm stretching, here). The round tubs are a little awkwardly sized, which is thankfully counteracted by their generous 300ml offering, and for all their natural goodness, these still come in plastic bottles - not as green as a shampoo bar, but recyclable nonetheless. As natural shampoos and conditioners go, the Professionnel Source Essentielle range offers a recognisable professional haircare brand take on chemical and sulphate-free haircare, with nourishing products that not only feel healthy but indulgent. 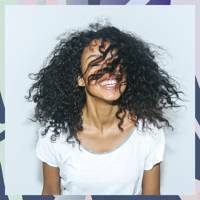 If you're not a natural shampoo convert yet, definitely try giving your hair a break from those harsh cleansing chemicals and switching it up for an environmentally-friendly lather. If you have an unhealthy obsession with cherry bakewells, your shower is about to get a whole lot sweeter. 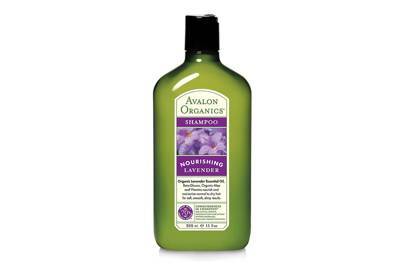 The latest addition to Aveda's natural shampoo range smells intoxicatingly like the pastry treat and completely sold out when it originally launched in the US. 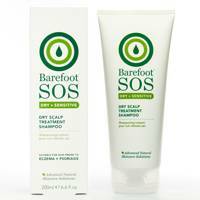 Not only does this shampoo smell amazing, it's like superfood for your hair. 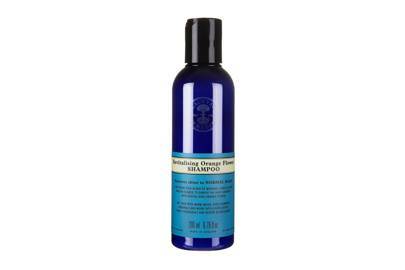 Combining the properties of moringa, camellia, passion flower and neroli, it gently cleanses the scalp, while restoring the locks' brightness and bounce. 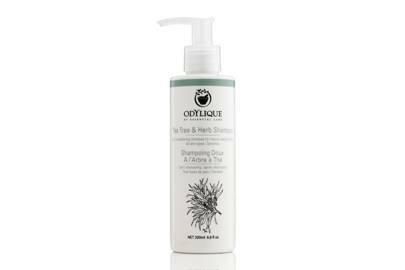 100% natural and chemical free, this shampoo is rammed with coconut oil, tea tree, aloe and herbs and horsetail for straightening hair. Yes please! 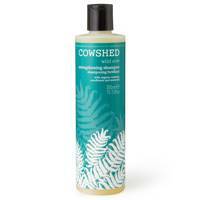 Infused with macadamia nut oil, try this for a strong, glossy mane. Bonus points for the delicious grapefruit and peppermint scent. 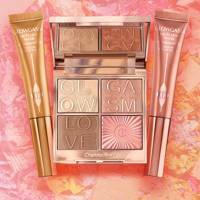 Love organic beauty products? 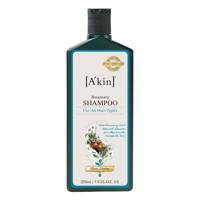 This one’s for you - a great everyday shampoo that doesn’t strip your hair of moisture and leaves it feeling soft and shiny. 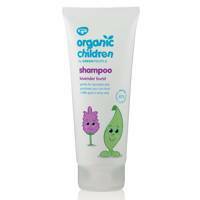 A lovely range of natural, chemical free shampoos for all hair types, we love this plant-based range. 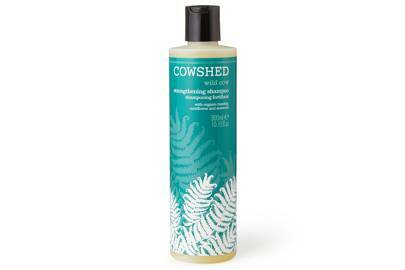 This sulphate-free shampoo has perfectly creamy lather with a gorgeous Lavender and Rosemary unisex scent meaning your boyfriend can even borrow it (but hopefully not too much). 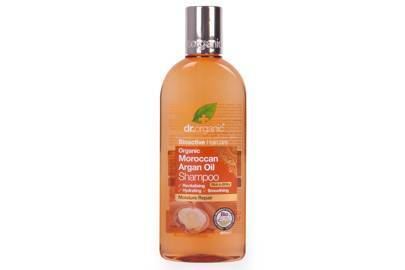 Lots of oils, plants and fruits go into these natural shampoos - a huge range for every hair type imaginable. 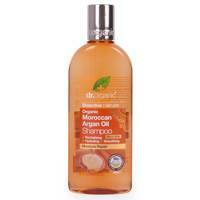 Packed with exotic ingredients, such as baobab, patchouli and rosewood, this moisture-rich shampoo is a total bargain at £6.29. 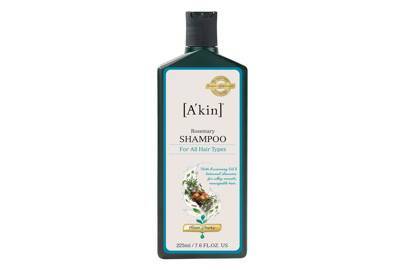 With an oil base, this is best used as a treatment shampoo once or twice a week if you’re prone to oily roots. But if your scalp is dry, slather it on and don’t hold back – you’ll thank us later. 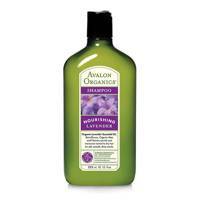 There are zero toxins, but oodles of goodness in this deliciously rich shampoo – you can feel it doing your hair good. 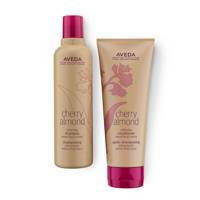 Gives thirsty colour-treated hair a serious boost of softness and shine. (NM – this weighed my hair down – so I gave it to my nanny, Gabi, to try! 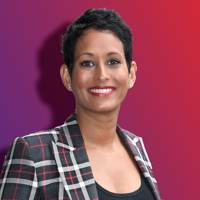 She has coloured hair and LOVED it). 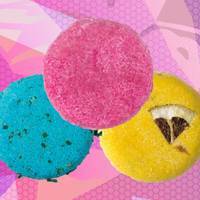 There’s a promising whiff of goodness about this one – the scent is reminiscent of Eve Lom’s famous cleanser. It delivers. 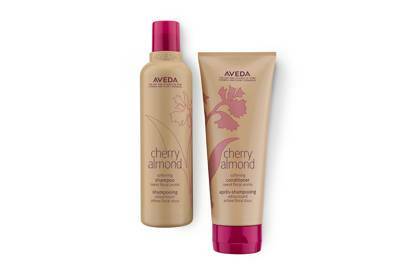 Thicker, fuller, dreamier locks, a perfect shampoo for thin hair. 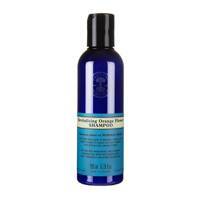 A deep cleansing shampoo that helps balance oil production in the hair. If it's good for little people, it is good for us! 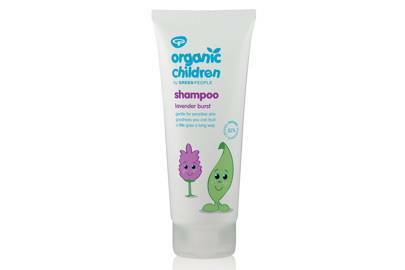 This shampoo is extremely gentle to the locks, making it ideal for children and mums of those children that sometimes need a dual purpose shampoo. 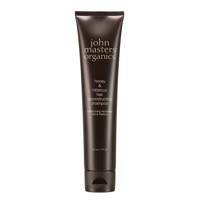 It leaves hair smooth and shiny (just like baby hair), and gorgeously smelling like lavender. 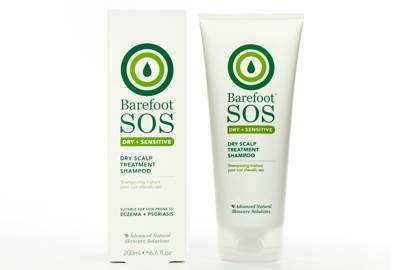 A chemical-free solution for dry scalps - packed with natural goodies from essential oils lavender and rosemary to botanical extracts of white willow and aloe vera.